For Shut Off &. Valve Repair Kit. Flow-Rite Valve Repair Kit. For hard to find OEM parts. The V2 is our reversible check valve (RCV 75) that allows a single pump to perform the basic livewell functions necessary to keep your catch alive in a passive or automatic manner. By mounting the pump to the valve body, the operator only has to decide whether he wants his livewell functioning or empty. Automatically turns livewell pump on and off for desired circulation. For use with and livewell recirculation pump or Flow-Rite valve. with Switch. system with "RECIRC" mode. Conserves battery life, easy to install, easy to operate. 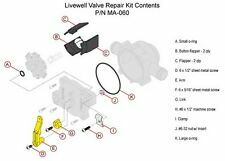 Boat part number 8103353 is a new livewell drain plug and switch kit from Flow-Rite, part number unavailable. Part commonly used on Legend Bass Boats, part number unavailable, may be used on other boats. Valve Actuator. Open/Closed, for use with 2-Position Valve, Black/White. #6-32 screws (not included) required for installation. Installs in 1 3/4" mounting hole. Cable features brass nut with knurled cover. Valve Actuator. Auto/Recirc/Empty, for use with 3-Position Auto Valve, Black/White. #6-32 screws (not included) required for installation. Installs in 1 3/4" mounting hole. Cable features brass nut with knurled cover. Valve Actuator. Fill/Recirc/Empty, for use with 3-Position Select Valve, Black/White. #6-32 screws (not included) required for installation. Installs in 1 3/4" mounting hole. Cable features brass nut with knurled cover. FLOW-RITE AERATION CABLE 8 ft. 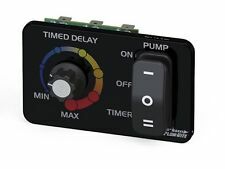 Automatically turns livewell pump on and off for desired circulation. For use with and livewell recirculation pump or Flow-Rite valve. system with "RECIRC" mode. Order #0880015. Part #MP-103. Conserves battery life, easy to install, easy to operate. Trending at $47.85eBay determines this price through a machine learned model of the product's sale prices within the last 90 days. The Flow-Rite Remote Drain Plug makes that job as simple as turning a switch. No more lying on a wet boat ramp to put in or take out a drain plug. Never worry about forgetting your drain plug again! 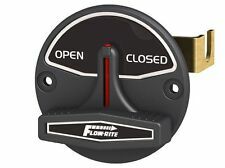 New open box FLOW-RITE livewell dump cable. 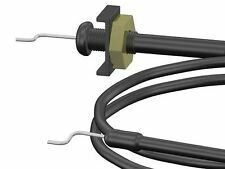 Non-directional for easy insertion into any ¾" drain line. Provides OPEN / CLOSED modes. Non-directional for easy insertion into any ¾" drain line. At checkout, choose the one best for you. Part #MV-13-FN01. Auto Reversible. Reversible check valve allows a single pump to perform basic. When the first fish is caught, place the valve in "auto" position. Shut-Off Valve. By mounting the pump to the valve body, the operator only. V1,V2,V3,V4 and V5. FLOW-RITE VALVE REPAIR PARTS. COMPATIBLE WITH-. 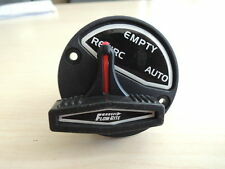 Boat part number 8103355 is a new remote drain plug actuator switch from Flow-Rite, part number unavailable. Commonly used on Legend Bass Boats, part number unavailable. May be used on other boats. I am selling a set of (2) Flow Rite powerstream aerators, part number MH-IPA-21W-713. It is new and comes as shown in the pictures. This item measures roughly 9 1/4" long overall with the OD of roughly 1". This item only comes with the pieces shown in the pictures, no additional pieces are included. For more information please contact a dealer in your area. ( HMB / 107 C / 9068881 ) (5) Shipping cost is for the continental United States (lower 48 states) only. For shipping outside of the continental United States please inquire about shipping cost before bidding. Part #MV-12-FN01. Auto Reversible. Reversible check valve allows a single pump to perform basic. When the first fish is caught, place the valve in "auto" position. Shut-Off Valve. By mounting the pump to the valve body, the operator only. I am selling a lot of (4) Flow-rite small screw on strainers, part number MA-005 They are new out of the original packaging, and they do come as shown in pictures. They measure roughly 1" wide x 1 11/16" in diameter and the ID of them is 7/8". For more information please contact a dealer in your area. ( KW / 55 C / 9069028 ) (22) Shipping cost is for the continental United States (lower 48 states) only. For shipping outside of the continental United States please inquire about shipping cost before bidding. I am selling a set of (4) Flow Rite barbed flanged drain elbows, part number MA-027-B. They are new out of the package and come as shown in the pictures. These drain elbows are black in color. The top has the OD of roughly 2" and the ID of roughly 3/4". The threaded portion is roughly 1" long with the OD of roughly 1 1/16", and the flanged portion is roughly 7/8" long with the OD of roughly 3/4" and the ID of roughly 1/2". This item only comes with the parts shown in the pictures, no other pieces are included. For more information please contact a dealer in your area. ( HMB / 159 A / 9068888 ) (42) Shipping cost is for the continental United States (lower 48 states) only. For shipping outside of the continental United States please inquire about shipping cost before bidding. 230 Challenger 520, 2012-->09- Ballast System. 230 Wake 430, 2012-->09- Ballast System. Boat part number 1023019 is a new 90° thru hull from Flow Rite, part number unavailable. Has a 3/4" Dia. barbed hose connection. Max Thru Hull Thickness: 3/8". Part Manufacturer: Flow Rite. We're your port for thousands of hard to find boat parts, original manufacturer's parts and marine surplus. Boat part number 1028726 is a NEW Flow Rite Qwik-Lok 1 1/8" Thru Hull elbow with flange. Flow Rite #MA-042-QLB. This connector can be used as part of their Qwik-Lok livewell system. Sold as seen in pictures. Reversible check valve allows a single pump to perform basic livewell functions in a passive or automatic manner. It also has a third closed "recirc" position for use when outside water is not wanted or available, such as adding ice, traveling to out-of-water weigh-ins, dockside refueling, etc. Part #MPV-03-RN01. Auto Reversible. Reversible check valve allows a single pump to perform basic. When the first fish is caught, place the valve in "auto" position. Shut-Off Valve. Rear Cable. By mounting the pump to the valve body, the operator only. (1) 18" long, 1 3/8" OD, 1 1/8" ID Also includes (1) 9" L x 1" Dia. livewell overflow drain tube, (3) 90 degree 1 1/8" thru hull connectors, (1) straight 3/4" thru hull fitting, and (1) 90 degree 3/4" thru hull drain fitting. Part #MPV-04-FN01. Once the livewell is full, the valve is placed in "recirc" position. The "empty" position allows gravity draining with the pump off. In "fill" position, the valve will close the livewell drain side. Boat part number 8302680 is a new strainer screen for use on Lund Boats, part number 2005490. Manufactured by Flow-Rite, part number MA-008. May be used on other boats. The base hosts a 3/4" tapered hose connection. Part #MPV-04-RN01. Once the livewell is full, the valve is placed in "recirc" position. The "empty" position allows gravity draining with the pump off. In "fill" position, the valve will close the livewell drain side. This livewell strainer screen is constructed out of 316 grade stainless steel with a black nylon body. This strainer is used for fresh or saltwater applications. x 2 3/8" H overall. Has a 3/4" hose snap-in connection. Part #MV-13-RN01. Auto Reversible. Reversible check valve allows a single pump to perform basic. When the first fish is caught, place the valve in "auto" position. Shut-Off Valve. Rear Cable. By mounting the pump to the valve body, the operator only. When in the "FILL" position, the valve will close the livewell drain side of the valve so the pump has free access to fresh outside water. Once the livewell is full, the valve is placed in the "RECIRC" position to close the drain and allow full recirculation of the livewell water. 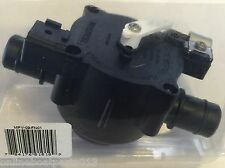 Boat part number 1075280 is a new V1 series valve actuator assembly from Flow-Rite, part numbers RK1-BW / MA-CBL-09. This actuator assembly features an Open/Closed actuator constructed from black marine grade plastic with a twist-to-turn knob. Boat part number 8600409 is a NEW, out of the box, boat livewell hose kit from Flow-Rite, part number MK-0464-TM. Commonly used by Larson 170 SP models. Year unavailable. Boat manufacturer: Larson. Part #MV-14-RN01. In "fill" position, the valve will close the livewell drain side. Once the livewell is full, the valve is placed in "recirc" position. Select Valve. Rear Cable. valve body for both filling and recirculation duties, eliminating.